You’ll never buy store bought again. 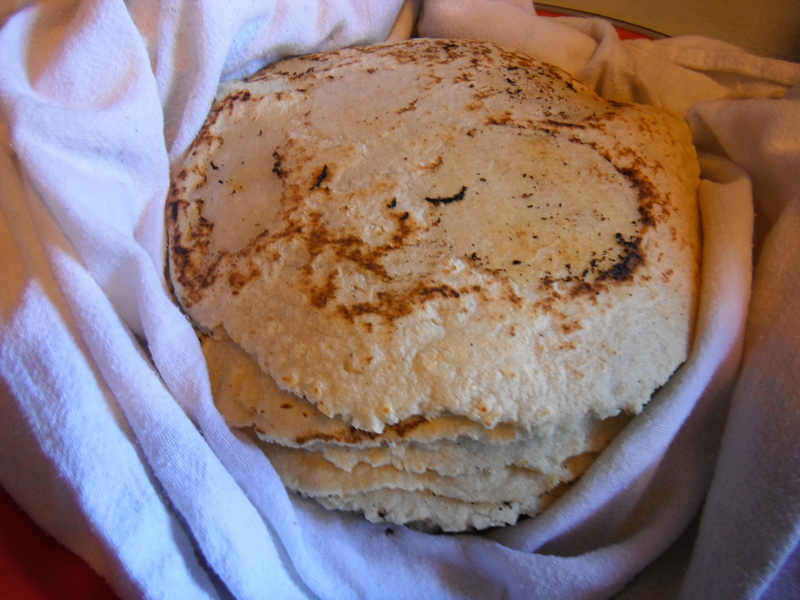 Homemade corn tortillas are not hard to make or at least they don’t have to be. 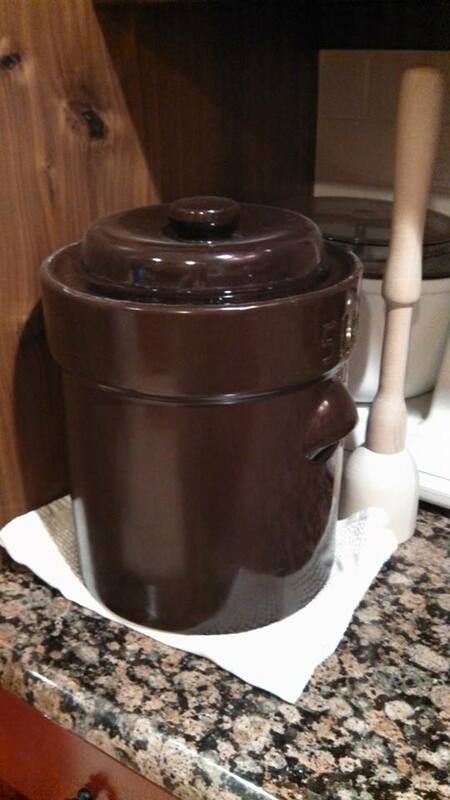 Purchase a tortilla press either at a Latin Food store or online. Using a gallon size zip-loc bag, cut the zipper portion off and cut down the sides. The end product is one large piece of heavy plastic. 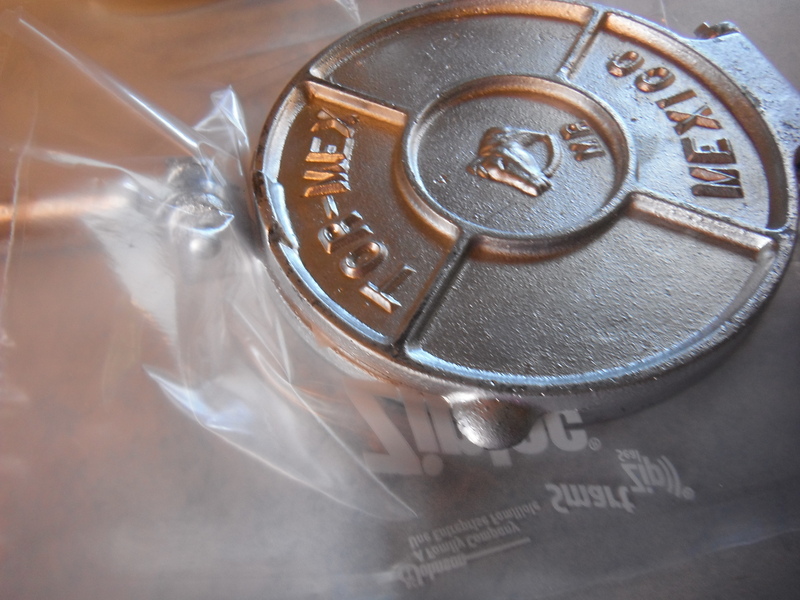 The plastic is used in the press to keep the dough from sticking to the press and also ease of removal of the tortilla. In a large bowl whisk together the Masa,and salt until well combined. Pour the hot water into the masa and stir to combine. The dough should not be too dry or too sticky. 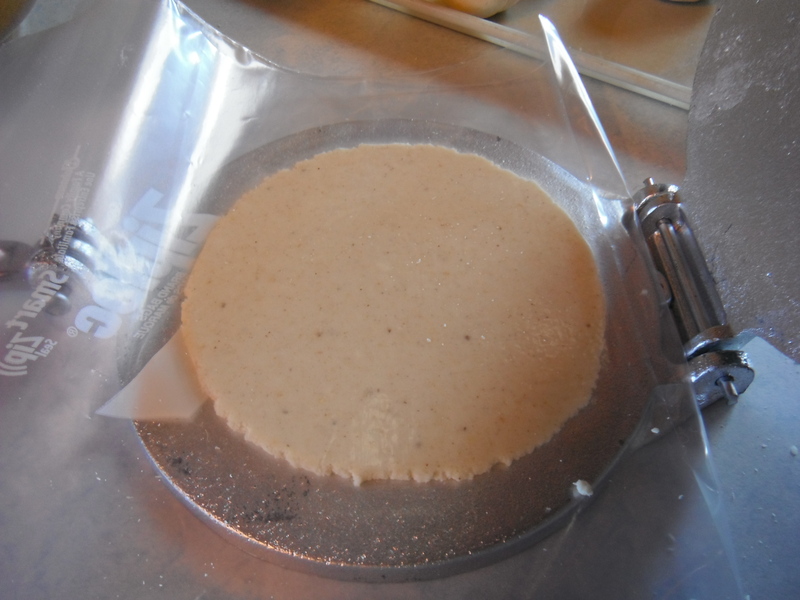 If too dry add more water, if too sticky add a small amount of masa. 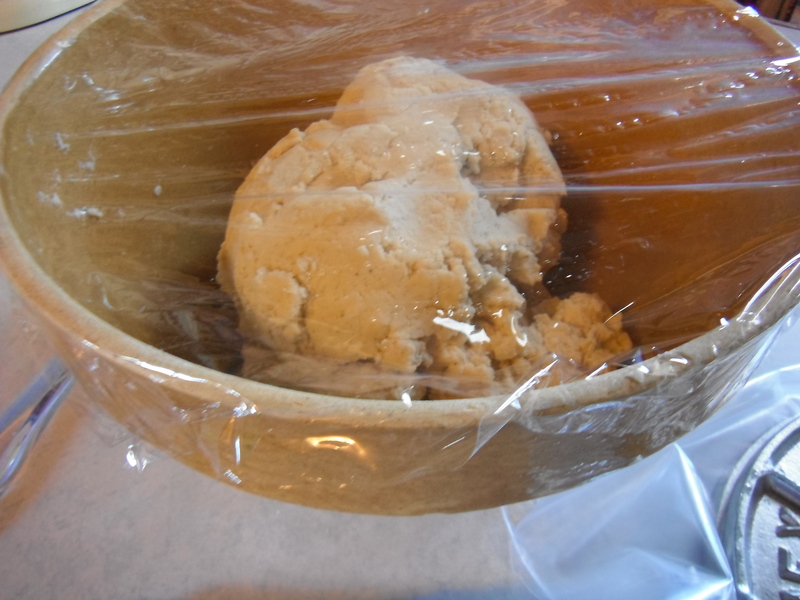 Roll the dough into a ball and place back in bowl and cover with plastic wrap. 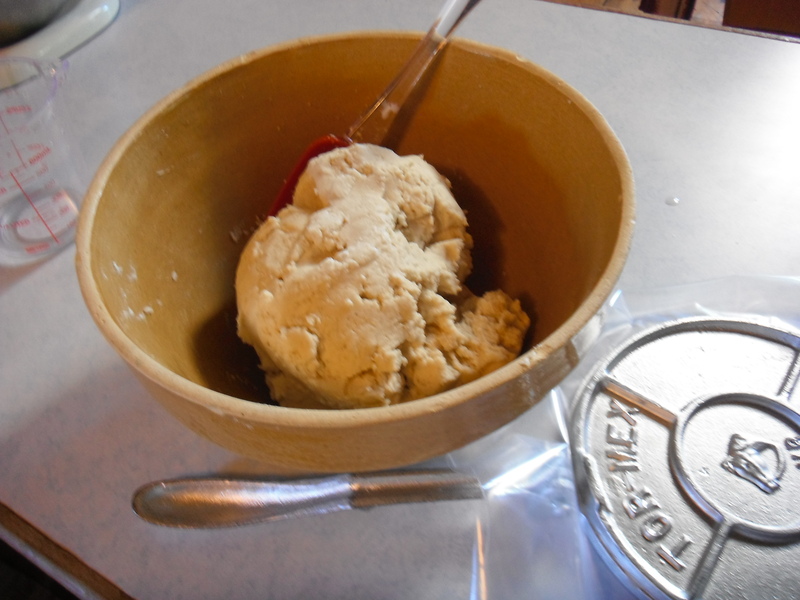 Allow the dough to rest and finish absorbing the water within the dough for about 15-20 minutes. 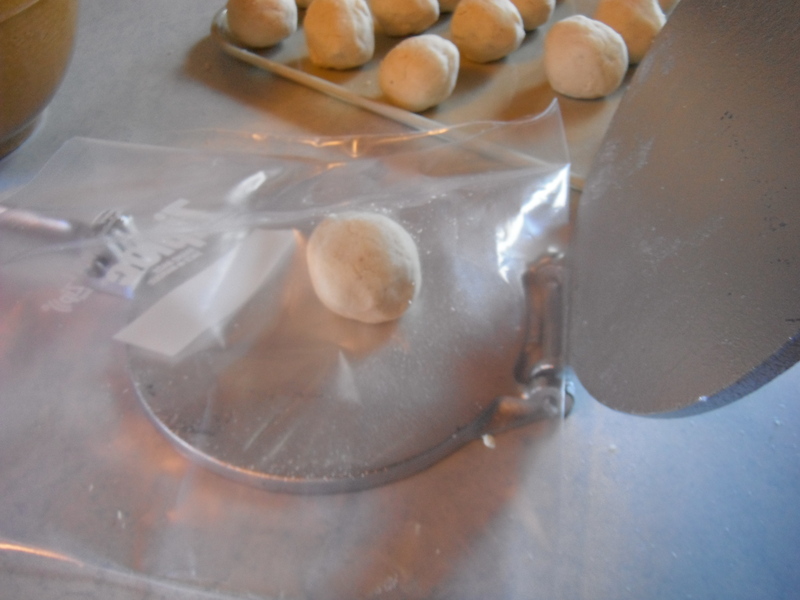 Divide the dough into 10 equal portions and roll into balls. 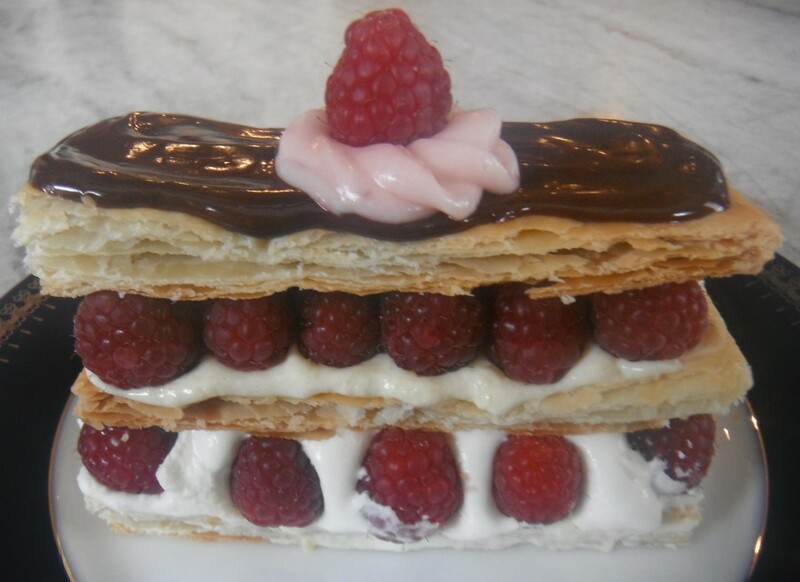 Place on a tray , lightly covered with plastic wrap. Heat a flat griddle on high heat. Using the tortilla press lay the plastic over bottom of press with the other half available to lay over the dough ball. 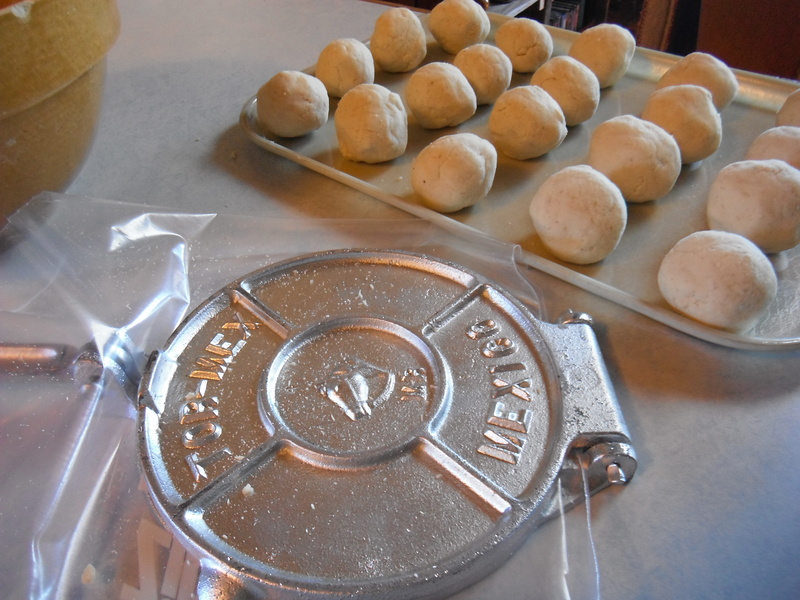 Place a dough ball onto the press. Cover the dough ball with the other half of plastic; press gently. Corn tortillas will be slightly thicker than flour tortillas. Carefully pull the plastic from the top of one side of the tortilla. Flip over onto your hand and again finish removing the rest of the plastic. 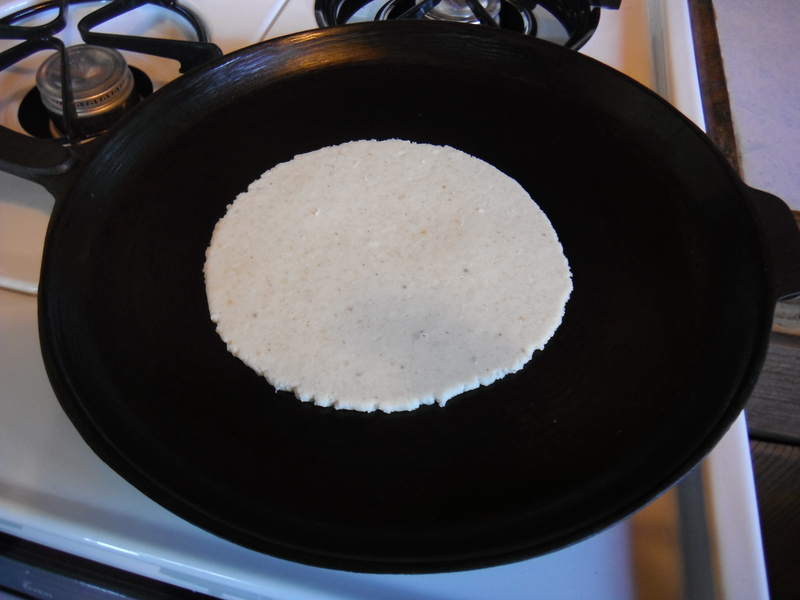 Slap the tortilla onto the heated flat griddle and allow to cook there undisturbed for about 45 seconds or until edges begin to curl and tortilla is loosened from griddle. Flip the tortilla and continue to cook on other side until it begins to brown slightly. Flip back on to griddle and cook about 15 seconds more. Wrap the cooked tortillas in a damp kitchen towel. Best if served warm/warmed and the day they are made. This is a not too sweet cheesecake. I choose less sweet because of the decadent, gooey Cajeta sauce. More Stevia sweetener could always be added for more sweetness, if desired. Combine the crust ingredients well and press into the bottom of a 9-10 inch greased spring form pan. Bake for about 12-15 minutes or until golden. Allow to cool completely. Combine milk, Stevia, split vanilla pod, scraped of seeds in to a large heavy bottomed pan. Place over medium heat. Bring to a simmer, stirring constantly until Stevia is dissolved. Remove from heat and remove the vanilla pod; stir in the baking soda dissolved in water. Mixture will bubble up. When the mixture stops bubbling, return to heat; bring to a simmer and cook, stirring often until thick and golden. Once golden, stir constantly until Cajeta is a deep rich brown and coats the back of a spoon. Set aside. 1 1/2 lbs. cream cheese , room temperature. Combine the cream cheese and Stevia until blended smooth but not over beaten. Blend in the soy flour. Add the eggs one at a time. Pour in the cream and add vanilla extract. Blend until well combined. Evenly pour into prepared cooled crust. Wrap the outside of cheesecake pan with foil . Place foil wrapped cheesecake in a larger roasting pan . Pour hot water half way up the sides of the roasting pan. Bake for about 1 1/2 hours in a water bath until set 3/4 of the way into the center. Remove from the water bath to cool completely. 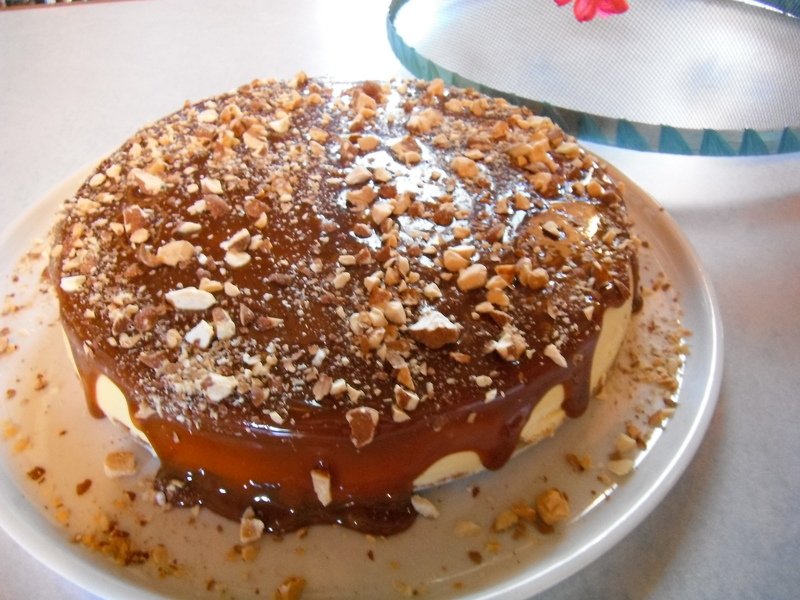 Spread the cooled Cajeta sauce over the top. 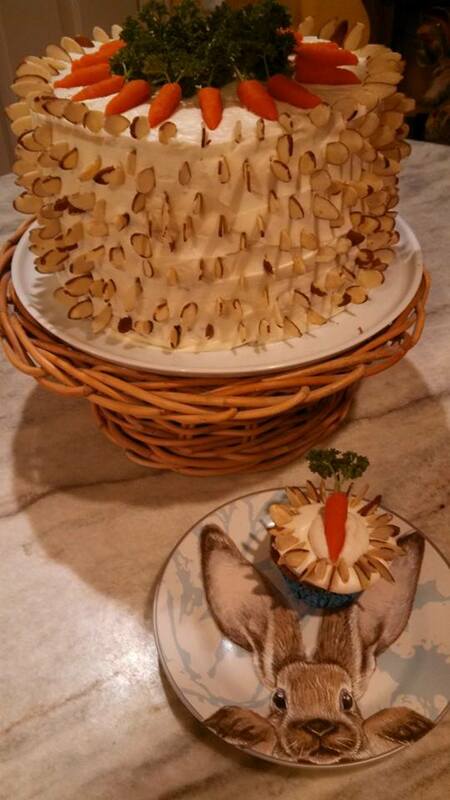 1/2 cup Cinnamon covered almonds, chopped, optional. Used to sprinkle over top as garnish. 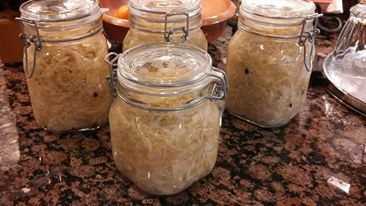 One of my sons asked me to develop some Low Carb recipes. This is one of them with more to come. 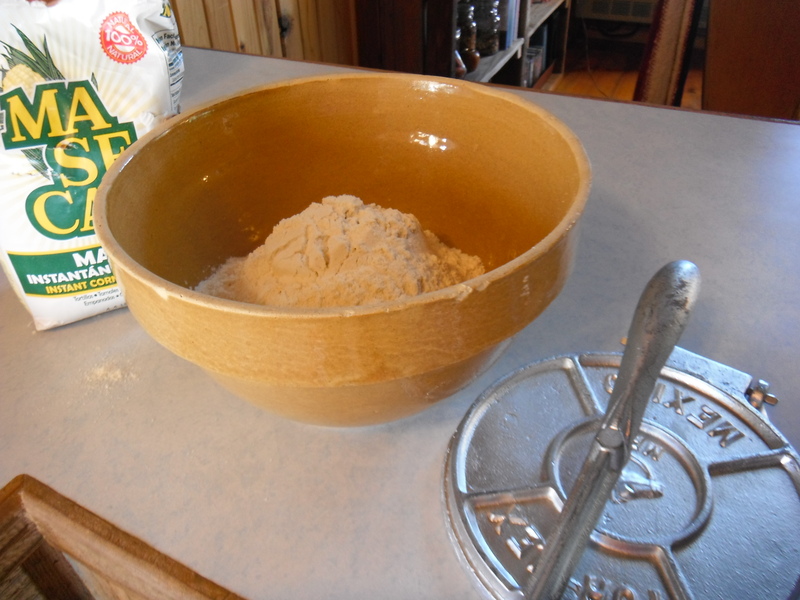 In a large bowl, whisk together the flours and salt. Cut in the cold shortening until pea sized. Add cold water and combine gently until dough comes together. Divide dough in half . 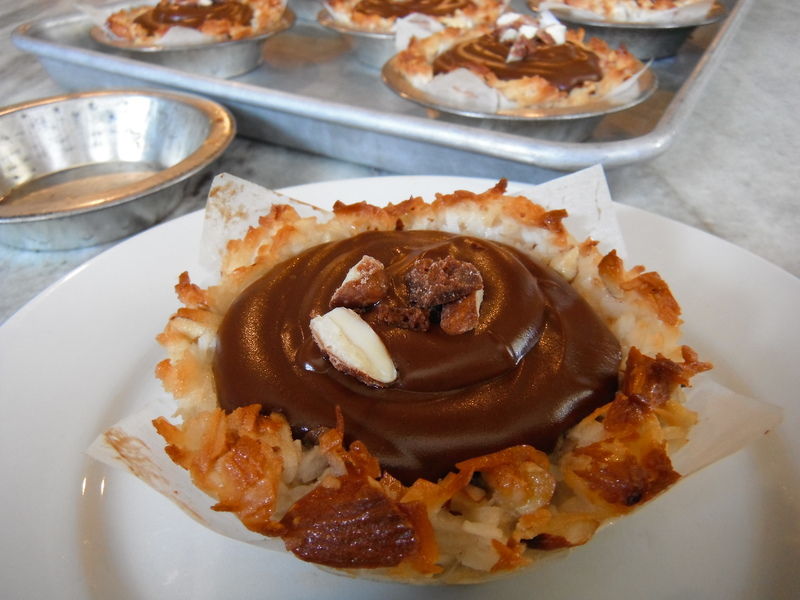 Roll out and place each half into the deep dish pie plate or deep fluted tart pans. Set aside. Saute the mushrooms and bell pepper until tender in the remaining bacon fat. Remove to a colander on a plate using a slotted spoon to drain and cool. Add the spinach to the pan and sauté just until wilted and place in colander to drain well and cool. Place the cooled bacon, mushrooms, bell pepper, green onions and wilted spinach in a bowl; toss to combine. In a large bowl, whisk together the eggs, cream, nutmeg and salt and pepper. Divide the bacon, vegetable mixture between the lined baking dishes; spread evenly on bottom. Divide grated cheeses evenly between the two baking dishes. Carefully pour the egg mixture between the two baking dishes. 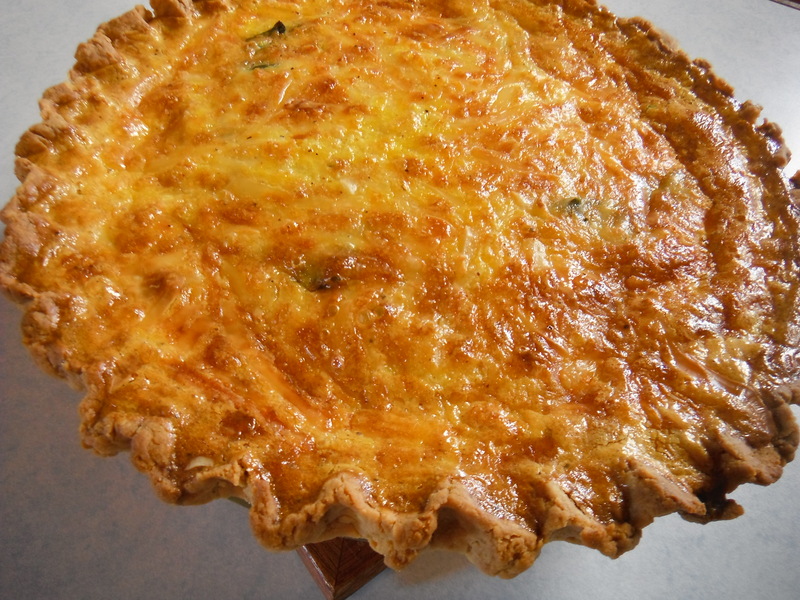 Place each quiche on a baking sheet. Lightly tent the baking sheet with foil. Place in oven and bake for 45 minutes. Remove the foil and bake until golden and set. Remove to rack to set at least 10 minutes before serving. I mistakenly put the wrong amounts for the dairy. It’s now been corrected to 1 cup half-and-half and 2 cups heavy cream. Preheat oven to 375 degrees. 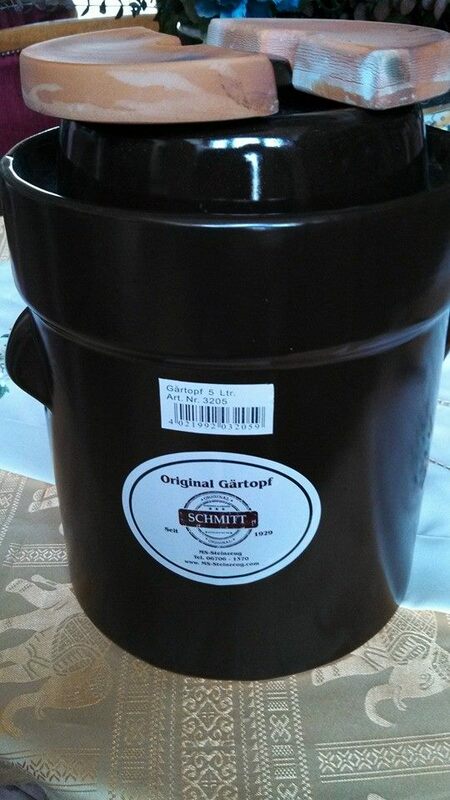 Cut out squares of parchment paper to fit about (16-18) 4-inch pie tins. Center the parchment paper on each tin and place each lined tin on top of each other and weight down while completing recipe.